Ernst Peschl was brought up as a Roman Catholic. He also learnt to speak fluent French, which would be significant to him later in life. He studied at Munich University and the Technical University of Munich, beginning his studies in 1925 and taking the Munich state examinations in 1929. He continued to study for his doctorate at Munich under the supervision of Carathéodory. He obtained his doctorate in 1931 for the thesis Über die Krümmung von Niveaukurven bei der konformen Abbildung einfachzusammenhängender Gebiete auf das Innere eines Kreises; eine Verallgemeinerung eines Satzes von E Study Ⓣ. 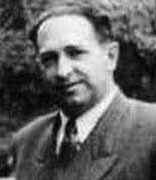 He published his thesis in Mathematische Annalen in 1932. After the award of his doctorate, Peschl was appointed to Jena where he spent two years, from 1931 to 1933, working with Robert König. He then went to Münster where he worked for eighteen months with Behnke before returning to Jena to continue to work as Robert König's assistant. Peschl and Behnke published an article in the Mathematische Annalen in 1935 which introduced the notion of Planarkonvexitat, now called weak lineal convexity. They showed that, for domains with smooth boundary, it implies that a differential inequality is satisfied at every boundary point. Peschl was a leader of a Roman Catholic youth organisation in Jena but the work of such organisations was soon threatened by the Nazis after they came to power in 1933. After the Gestapo closed down the Roman Catholic youth organisation in Jena, Peschl realised that he would have to go along with certain political actions if a career was to be possible. He was intending to submit his habilitation thesis to Jena, so he was on track to obtain the qualification to lecture there, when the Gestapo acted. He made what he judged to be a necessary move, and joined the Sturmabteilung (Stormtroopers). He only remained in the service of the Stormtroopers until June 1934, which was less than a year. In 1935 Peschl submitted his habilitation thesis and in 1936 was appointed as a lecturer in Jena. This position saw him as automatically become a member of the Union of National Socialist Teachers, but he insisted that he was only a corporate member rather than an individual member. It was clear that he was going along with the National Socialists only as far as he judged was necessary to allow him to have a career as a university lecturer, but at every stage he did the minimal amount to keep in favour. In fact by 1938 he was thrown out of the Union of National Socialist Teachers since he had not paid his membership fees, but this was a pleasing outcome to Peschl. ... offered passive resistance to Doetsch's rigid militaristic conceptions (recall that Doetsch was a major as well as a professor). Consequently ... Doetsch had him fired (on March 29, 1945) because his "attitude towards work did not correspond to the necessities of the war at the moment". Once he was fired from the Institute Peschl should have been drafted, and Doetsch pressed for this course of action. However Peschl began working at the Technical University of Braunschweig and avoided being drafted for a few weeks which was all that was necessary since the Allies occupied Braunschweig on 11 April. From 1948 Peschl was an ordinary professor at the Rheinische Friedrich-Wilhelms University in Bonn. He held this post until he retired in 1974. However he also held other positions in Bonn, namely as Head of the Rheinisch-Westfälische Institute for Mathematical Instruments from 1955 to 1968 and from 1968 he was Head of the Institute of Mathematics as well as Head of the Society for Mathematics and Data processing (Gesellschaft für Mathematik und Datenverarbeitung). In 1969 he spent time at the University of Toulouse. ... the various directions that his thesis-work has taken in investigations by the [himself], his colleagues and disciples in the intervening 40 plus years. ... this work lies on the common boundary between differential geometry, function theory (of one and several variables) and partial differential equations. The first such relationship lies ... in the Schwarz lemma; the essence is the relation between the standard hyperbolic metric in the unit disc and the Beltrami equation, to which particular differential invariants are associated. This situation has been generalized to different types of metrics, to equations of higher order and to more than one variable. The fundamental concept on which the text of this neat little book is based is that of the n-dimensional vector space Vn, abstractly defined. ... The book, the result of lectures given at the University of Bonn, is a valuable contribution to that approach to analytic geometry in which is stressed, at the example of Schreier and Sperner, the necessity of basing the traditional material on the strict concepts of modern algebra. Funktionentheorie Ⓣ contains the basic facts about analytic functions of a complex variable. The titles of the chapters are: Algebra and geometry of complex numbers; Fundamental topological concepts, sets, sequences of complex numbers and infinite series; Functions, real and complex differentiability and holomorphy; Integral theorems and their consequences; Winding number and curves homologous to zero; Taylor development of holomorphic functions; Elementary transcendental functions; Laurent series, isolated singularities and residue calculus; Holomorphic and meromorphic functions obtained by limiting processes; Analytic continuation; and Conformal mappings. Partielle Differentialgleichungen erster Ordnung Ⓣ (1973) provides an elementary introduction to first order partial differential equations while Differential-geometrie (1973) provides a clear, elementary and concisely presented introduction to local differential geometry in Euclidean and Riemannian spaces. ... in appreciation of services to his field of activity, to mathematics, in particular however because of his fruitful co-operation with his French professional colleagues.